Nothing makes me feel more centered and at ease than my many rituals–performed throughout the day, carried out in different locations and fulfilled to achieve specific purposes, some basic and others more complex. Some might say this makes life less "in-the-moment" and more structured and orchestrated, but you can still be spontaneous and carefree while enjoying the focus that rituals allow. You might even have carried out one of my more routine and simple daily rituals: lighting and enjoying candlelight. Candles are often associated with festive occasions–atop birthday cakes or to illuminate a romantic dinner. Think for a moment, however, about where else they are commonly used, such as in spiritual ceremonies worldwide. People find that focusing on a flickering flame can help them achieve a meditative state, even more so than a mantra. The mesmerizing effect of candlelight has been shown to reduce stress and increase self-awareness. Select soy or beeswax candles. They are free of toxins, biodegradable and renewable unlike petroleum based paraffin wax candles which may be hazardous to your health, according to studies. Paraffin candles release toxic chemicals, such as toluene and alkenes, which maybe be carcinogenic. Avoid colors. White or cream colored candles are best for relaxation, and will help you focus on the flame without the distraction of colors. This also ensures there are no harmful additives and dyes in the candles. Aromatherapy. If you opt for a candle that releases a soothing scent, then read your labels to make sure they are infused with natural essential oils, and are not artificially scented with synthetics. Select scents using oils that have been shown to reduce levels of the stress hormone cortisol, such as lavender, bergamot and ylang-ylang. During workouts. If you practice yoga at home, using candles can deepen your sense of calm and relax your mind and body, which can improve your concentration and help you conquer challenging postures and stretches. Sitting or lying down in a candlelit room is also an amazing way to unwind post workout. In the bathroom. The soothing effects of water combined with calming candlelight in a dark room can make a warm bath or shower doubly tranquilizing. In the morning or evening. 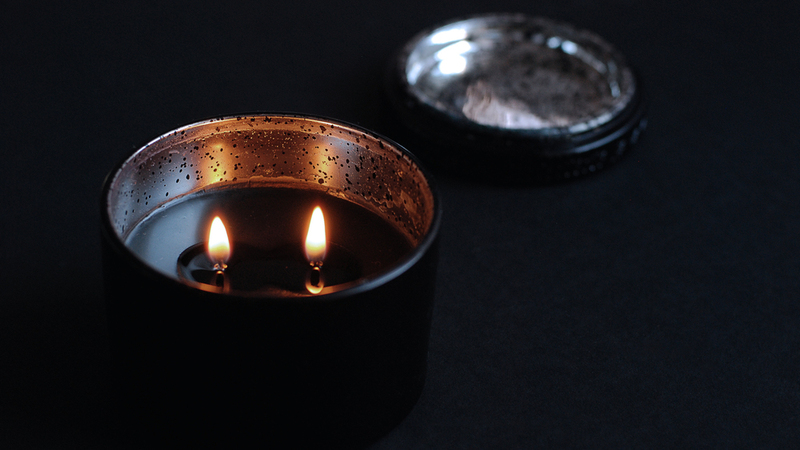 Just because candles emit light doesn't mean you can't enjoy their benefits during the day. Spend a few moments in the morning or at night, sitting quietly in a place where you can be still. Focus on the flame and focus on your breathing. For an extra stress reliever, try focusing on the wax and picture it as your tensions melting away. If your mind starts to wander, simply return to the flame.